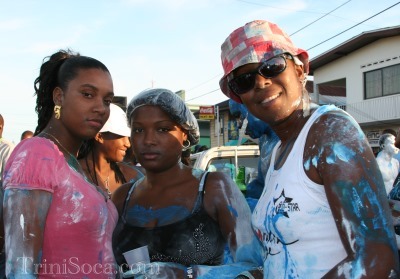 This year's Borough Day celebrations in Point Fortin turned out to be quite a success. Saturday's activities hold some of the biggest events in the two weeks of Point Fortin Borough celebrations. The Point Fortin Borough Day Celebrations started somewhere around the mid-eighties. It came at a time when Point Fortin was in an economic downturn. With the removal of Trintoc from Point Fortin, there was a great call-out in the society for job opportunities. At that time, the then council adopted a rather radical move to try to use culture as a means of creating economic activity in the area, and so was born 'Pan on the Move'. The Borough which was inaugurated on the 30th April 1980 hosted thousands of people from all over the country, and around the world as they gathered at the main area to participate in the festivities which started days before this major event. Although the crowd contained mainly people from about seventeen to thirty-five, both the very young and the very old could be seen parading the streets from about half-past-one on Saturday morning. The day's event began with a number of trucks, which were hardly mobile because of the large following, blasting music on the streets. 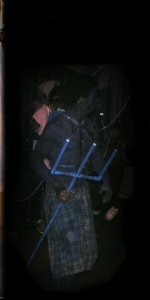 People danced and frolicked until sunrise and made way for the J'ouvert bands to entertain the by-standers. These bands came from all over the country to play a part in the huge celebrations. After the J'ouvert mas, some participants took a break for a good Saturday meal and a bit of rest from partying. Others continued the 'lime' on the streets or ventured to the bars to eat and drink with family and friends. About four in the afternoon the Traditional Carnival Characters came out in full force along with a more mature crowd who usually pass on the early morning celebrations to enjoy the evening parade and the 'Pan on the Move' section of the celebrations. Many of the major steelbands from all over Trinidad and Tobago were represented. The general success of the Point Fortin Borough Day celebrations should be used as an example for other large events outside of Carnival in the country. What may be of benefit to the celebrations though are plans for better crowd management and a more constant flow of activities.